"Southwest: It's your best choice." Southwest Tennessee Community College (STCC) is a comprehensive, multicultural, open-access college whose mission is to anticipate and respond to the educational needs of students, employers, and communities in Shelby and Fayette counties and the surrounding Mid-South region. Since its establishment in 2000, the Memphis-based college provides citizens with an effective teaching and learning environment designed to raise educational levels, enhance economic development, and enrich personal lives. With student success as its number one priority, Southwest is Tennessee’s largest community college with an enrollment of over 10,200 students. 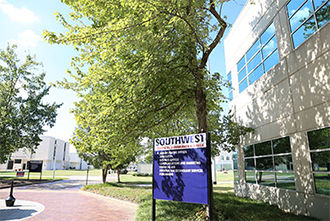 Southwest offers over 100 programs of study that lead to as many as 27 university transfer and career associate degrees, and more than 20 technical certificates. Southwest Tennessee holds the distinction of being recognized as a 2015 Military Friendly® higher education institution for exemplary practices in recruiting and supporting post-military students. The college offers credit for work and life experiences through Prior Learning Assessment (PLA).